We have a wide range of oxygen therapy equipment available for both hire and purchase. Need help choosing? Call us on 1300 558 947. With respiratory consultants located around Australia you can trial your very own Portable Oxygen Concentrator in the comfort of your own home. Please call 1300 558 947 to book an appointment*. We are 100% Australian owned with a team of over 100 employees all over Australia. Proud partners of The Lung Foundation of Australia. Contact us to attend the next free patient information day in your area. Featuring guest speakers and health professionals. Find your freedom to breathe anywhere, anytime without managing oxygen refills or carrying heavy tanks. The Inogen One is just one of the many POC solutions available from Oxygen Solutions. Travel where you want, when you want. Provides a better night’s sleep. Gives you your independence back. Call to learn more about portable oxygen concentrators and other Oxygen Solutions. Oxygen Solutions have medical grade oxygen therapy specialists located around Australia including Sydney, Melbourne, Brisbane, Adelaide and Perth. We are confident that regardless of your location we will be able to deliver the right solution to you. What is the battery life of a POC? A typical charge on a unit like the Inogen One G3 will last up to 4.5 hours on a Single Battery and up to 9 hours on a Double Battery. Most portable oxygen concentrators will have a similar battery life to this. Can I take portable oxygen on-board commercial aircraft? Yes. With a POC like the Airsep SeQual Eclipse 5 or the Inogen One G3, traveling with oxygen is easy. Many commercial airlines allow the POCs aboard their aircraft, including QANTAS, Air New Zealand, American Airlines and many others. We recommend double checking with your airline before your next flight and requesting a seat with power point access. Oxygen Solutions is the official Australian distributor and the only authorised service centre of the Inogen One, the world’s most popular portable oxygen concentrator and the professional’s choice for mobile oxygen therapy. 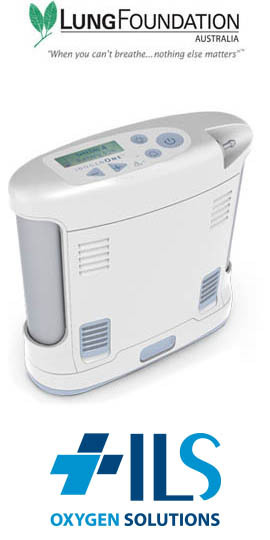 When air isn’t enough we can provide you with a range of other portable and floor standing oxygen concentrators.